It has happened to most of us at one or other point of time that we have unintentionally lost our data either by accidentally deleting something that was important, or by reformatting the memory card without taking a proper back up, or had to restore the phone back to the factory reset due to some malfunctioning of the system. 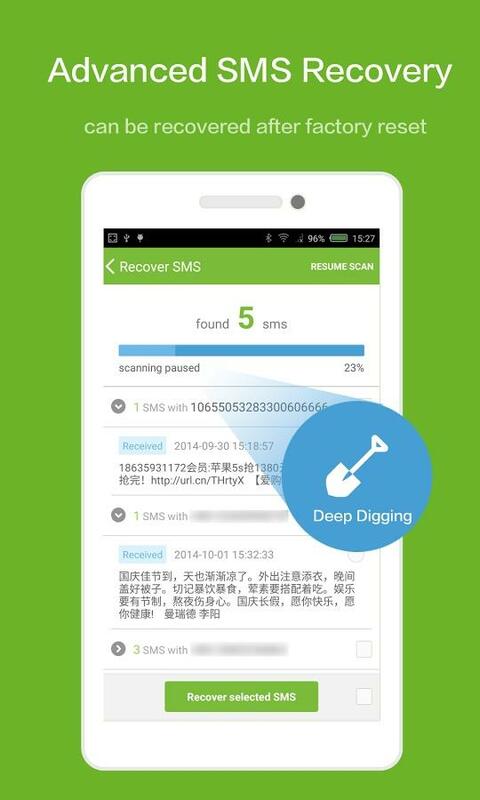 To recover from such accidental loss of data, GT Recovery has been developed by Hangzhou KuaiYi Technology Co., Ltd, the purpose of which is to "undelete" those files that have been accidentally deleted, recover those lost photos which got hidden in the system by scanning the entire storage of the Android device. The app is said to have the capacity to recover photos, audio files like music and recordings, lost contacts and messages and other important documents. The app has all the necessary functionality that are required for the file recovery operation, conducting package recovery tasks as well as single document recovery process and so on. 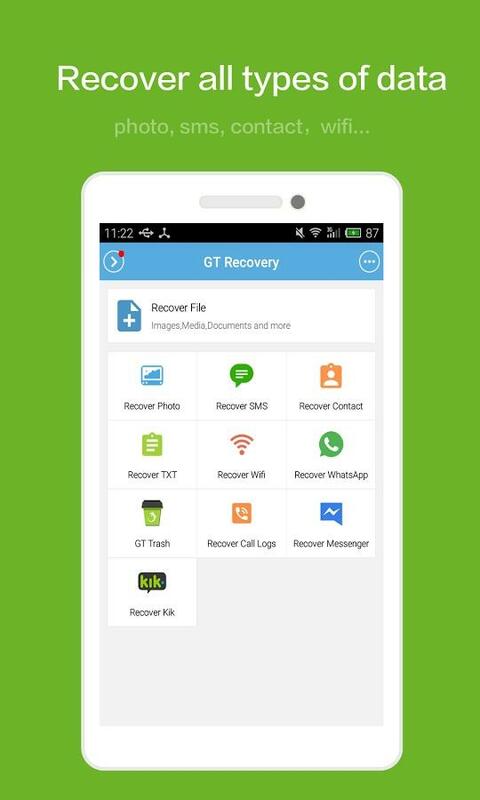 The GT Recovery app made a good rating score among all other data recovery apps because of its simplistic approach and a handful of useful features. The app works best for rooted devices. For devices which are not rooted there is the GT Recovery for Windows version which can be used on PCs as well. It has support for every major volume formats, like MP3, MP4, EXT3, EXT4, FAT and so on. Users can get a preview of the scanned results for each file including audios and videos. 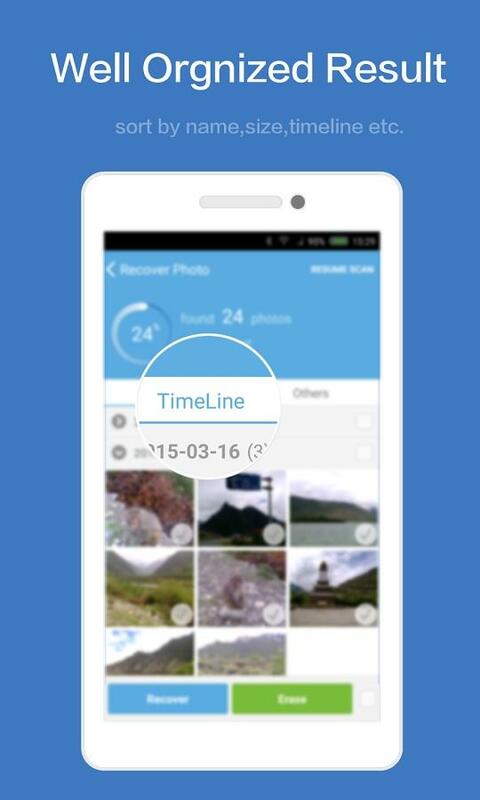 The app finds out the hidden files from your device at a lightening speed with ease. After installing the app, one can start using the app straight away from the landing page of the app, as it has got a very detailed UI that has the Application logo with a blue-green rolling lizard sticking on it. The app UI would guide you on how to use the app. For example, if you want to recover your photos that got accidentally deleted around 2 weeks before, you can jump start the recovery task straight from the list of options displayed in the UI. The main Setting of the app lists down every option the app has to offer. To see them all you simply need to Slide the screen to the right. Within the main settings page there is also an option for advance settings. There is a detailed FAQ page which is specially made to help the new users. By tapping once on the Setting page, there is a tool named SuperUser that performs the task of detecting Root access of your lost files from the GT Recovery app. You need to click on the accept button that would be prompted to let you proceed through the next steps. If you don't see the SuperUser option appearing on the screen, that is indicative of your device not in Rooted state. Once you come our of the setting page by pressing the Exit button, you are back to the main page of the application and now you can proceed with your recovery tasks. 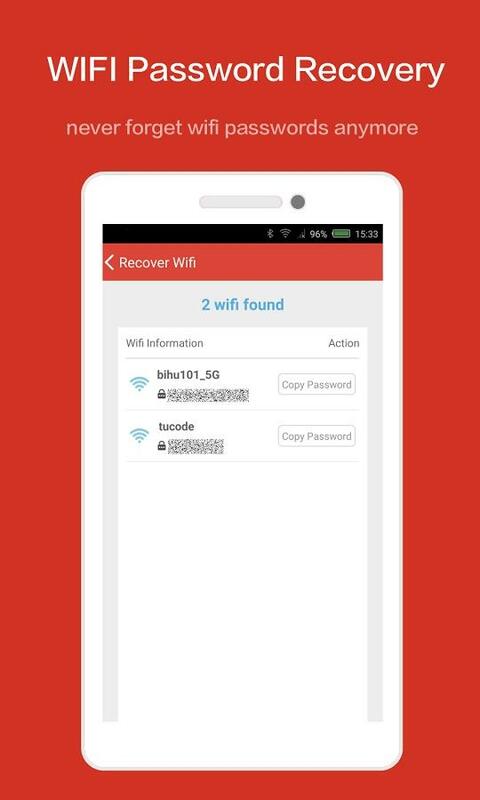 There is this Recover Photo icon which would start the task of recovering files at once. To start with a new set of files, you need to click the "Start new Scan" button. The app would look for the default path "/" directory, which would make it easy to find and locate the directory of the recovered files. But to make the app work for you, it would be better to remember the directory location. The app will start scanning your device to look for the missing files and the result will appear within just a few minutes. While the app is working towards finding out your lost files you can scroll down the result page, and you can be rest assured about that it will not pause or kill the scanning process. But if you have found the right file you were looking for, you can certainly pause or stop the scanning process at your will. 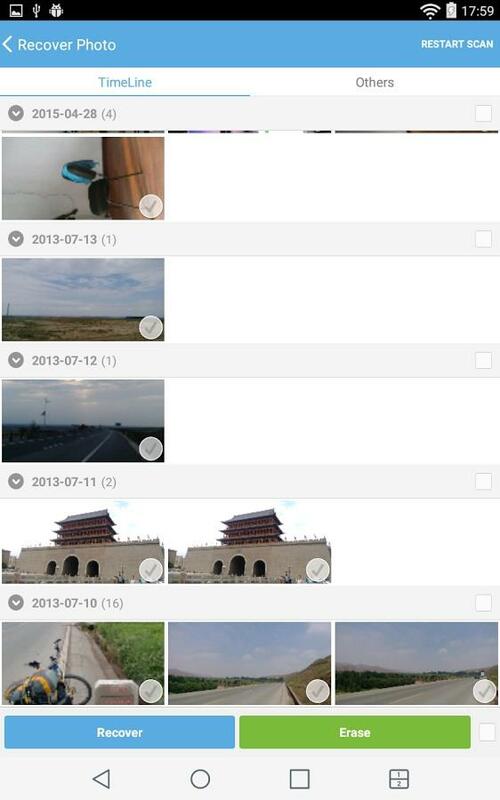 The Found image page would be displayed as a sorted thumbnail view, and you don't get any other option to view these files like "detail view" as you are habituated to see in File Explorer. But there is a Timeline tab view to display the date information. The Others tab would show the result that were sorted by the size of the image files or the other documents. Once the task of scanning is complete, you can scroll down through the search result page and select the particular document, or photo by tapping on them. There is option for selecting your files multiple times or go for a group selection. Once you select the files, you have to Press the Recover button to proceed with the restoration process. There is also an Erase button in case you want to delete some unnecessary files, but it is recommended that better you don't use that option till you are sure that you are done with your recovery. Now it is time to select your files and save them in a carefully and consciously chosen path . If you are scanning your stuff from any external memory, it is advisable to save them somewhere in the internal memory or stock them up in an USB drive. This way you would be able to keep your memory card intact and prevent it from getting overwritten with another file. Better not to save them on your EXT partitions. To save your files for ever and prevent them from being misplaced, it is always good to save them in cloud storage like Google Drive, Google Photos, OneDrive and so on. The best part of this app is that, one can manually select the partition disk to store and save the recovered files. The UI is all set to help out the new users, it has a detailed list of options and a very relevant FAQ page with all your questions answered. The app works fast and has a preview option to view the files in a thumbnail mode. There might be a chance of the lost data location getting interrupted with the new data files or somehow getting overwritten, and the data becomes difficult to access. In those cases this app would try to retrieve the last location of the lost data, but the found result might not be satisfactory. It could be better if they include more options for the preview, since a thumbnail can be confusing at times and might be confused with a similar photo or document. To round up, as a Free app, the GT Recovery does its job better than what I was expecting. The app is good in identifying the origins of the accidentally deleted files in no time. At the same time as it keeps scanning whole device, because of which you might get back some more old files or photos unexpectedly. Overall I liked the app as it served my purpose and got me back the photos which I thought I had lost for ever.